The beautiful town of Split, located on the eastern shores of the Adriatic Sea, has been gaining popularity in 2013. Previously considered as a „hub“ town where tourists just stay a short period of time before continuing to one of the many nearby islands or other destinations along the coast, this year Split, Croatia has become very popular even for longer stays. 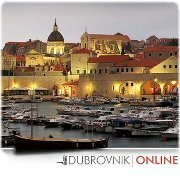 We hope that you found the information on Dubrovnik Online to be useful. If so, please use the buttons on the left to help spread the word. Thank you for visiting !